Cities like New York, Los Angeles, and Chicago are known for their adventurous cuisine, chic restaurants, and world-renowned chefs. 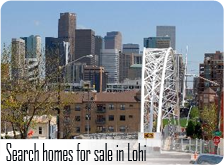 But lately, Denver has begun to make a name for itself in the culinary world and leading the way is the up and coming LoHi neighborhood. With restaurants like Linger and Central Bistro, it is easy to get swept up in the glamour that interesting cuisine can provide. 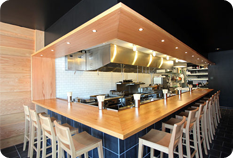 But a new restaurant concept, Uncle in Denver, is making minimalism and ramen noodles look trendy. When it comes to eating out in Denver, there are plenty of Asian restaurants to choose from. But Uncle in Denver is creating quite the buzz with their Asian-fusion style, blending foods from China, Korea, Japan, Thailand, and Vietnam. Chef-owner Tommy Lee opened the restaurant in August and it has since garnered acclaim from the Denver Post, Westword blog, and 5280 Magazine. As one of Denver’s hot new spots, it’s menu is vast, interesting, and every changing. One can enjoy their famous steamed buns, adorned with pork belly, shrimp, or avocado for the vegetarian in the group. But their claim to fame is their ramen bowls. These gourmet bowls give the college-preferred Asian noodle a good name. Surrounded by broth, protein, veggies, and eggs, these entrees are what make Uncle in Denver deliciously interesting. While the food is enough to draw the attention of anyone eating out in Denver, the décor is enough to keep them coming back. The minimalism is inviting and comforting, with small two- or four-table tops dotting the seating area, and a custom bar that peeks into the kitchen. Uncle in Denver leaves everything out in the open and chooses to focus on the food, not the décor. This restaurant is truly one of a kind and definitely rocking the culinary world in Denver. But if you are thinking of stopping by for dinner, as you should, make sure you give yourself plenty of time and have the patience to wait. Because of the small size of the restaurant, it fills up quickly and they do not take reservations. They are also only open for dinner, so eating at Uncle in Denver is a limited affair. But from everything we’ve read and heard, this fabulous little joint should be on the top of your list when you want to eat out in Denver.